Britain has now triggered Article 50 to start the Brexit negotiations. However, even with Britain out of the EU, Lacrosse Experts in Translation is not concerned that English will lose its position as the main language of discourse for business and news in Europe. As the majority of written material in English is now penned by non-native speakers, there is an abundance of professional proofreading to be done to make it understandable and persuasive. Outsourced proofreading of texts is one of Lacrosse’s main services to its clients. If you find yourself being presented with the task of proofreading a text of your company’s new website or the contents of a share issue offering circular, here are a few tips from some of the experts at Lacrosse and other “word factories”. Lawrence Fahrenholz, co-founder of Lacrosse Experts in Translation, said: “You need a very good eye for detail and command of your mother tongue, as well as a good understanding of the mother tongue of the authors. I remember a company using editing services in its London office some years ago, where the editors were mainly UK graduates with no previous exposure to Poland. They were completely unable to handle texts written in English by Polish authors”. Tom Fahrenholz, co-founder, agrees: “The texts we revise are typically produced by people whose native language is not English. This means that we are also interpreting, then rewriting, rather than just catching errors that have skipped someone’s notice. Faux amis, crude calques etc. are part of what we fix”. For example, someone thinking in Polish might come up with “combining” for “kombinowanie”, i.e. scheming. For example: “He was dismissed by his employer for constantly combining” – okay, but combining what? In Germany, a mobile phone is typically referred to as a “Handy” – a word of English origin, so they think it must be the word English speakers use. In short, we don’t just proofread, but also eliminate confusing or embarrassing textual bloopers. In summing up his approach, Harry Irrgang, a Lacrosse team member with translator/proofreader experience spanning 30 years, said: “It’s just an ability to read precisely and quickly. I developed it in my teaching days in England, marking tons of homework – class sets of 30 exercise books – written in French or German. When you’re checking a foreign language you HAVE to be precise and pay careful attention to every comma, grammatical ending and so on. So to “mark” English texts is just an application of that principle to me: i.e. 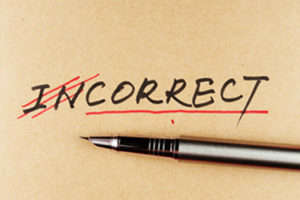 treat the English as if you were checking the correctness of a foreign language”. Jo Harper, who has worked at several international news outlets as an editor and journalist, and who also translates, adds: “It’s important to try and find the register, the tone and style of any given text you are editing or translating as quickly as possible, and then read sentence by sentence with that in mind. Try not to think too hard about deeper meanings in the text, but focus on sense and simplicity, and the meaning will become clear – at least, that’s the hope. Some texts are simply not very good in the first place. As for journalism, get the key stuff as quickly as possible up top, and again, keep it simple and never assume too much. If the piece is still no good, it may just be no good, always bear that in mind”. What is true for English texts is also true for other languages. Anja Ruchatz, a German translator and editor says: “Proofreading English texts translated into German or vice versa can be quite challenging. There are, of course, the usual typos and easy-to-spot faux amis that make you laugh (or cry), such as “we hardly worked” for “wir haben hart gearbeitet” (we worked hard), or “das war ein sinnvolles Treffen” becoming “we had a sinful meeting” (the meeting was worthwhile), that are quickly remedied. But apart from different grammar rules which some people tend to use 1:1 in the other language (sentence structure, punctuation…), the register to be used seems to be one of the biggest difficulties. Anja continued: Reading an address of HRH the Queen in colloquial German, or an interview with a trade union representative in high German, just doesn’t sound right. OK, I am exaggerating, but only a bit. How often does it happen that a CEO, after translation, all of a sudden speaks very basic English or German! The “editing”, i.e. aligning the style and register of a translation with the original, is what I like most when proofreading”. So, good luck with your texts. Even companies with in-house native speakers fare better by outsourcing this demanding but nonetheless satisfying task to Language Services Providers like us, as it is time-consuming and requires linguistic dexterity that not every accountant or engineer possesses. If you are calculating how much time you will need to tidy up a text, always multiply your first estimate by two, as every text will be improved by a read-through the next day or by getting another pair of eyes to scan through it. If you have any favourite proofreading tips, let us know! Best practices, Lacrosse approach, Language interest language service provider, Language services, legal translation, Proofreading. permalink.